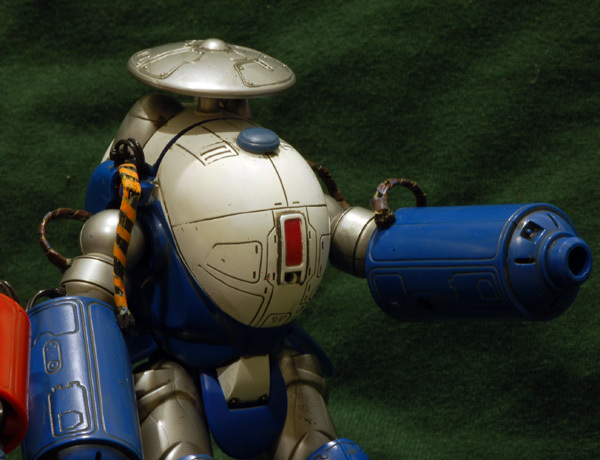 Special Armored Battalion Dorvack is a mecha series that ran in 1983. 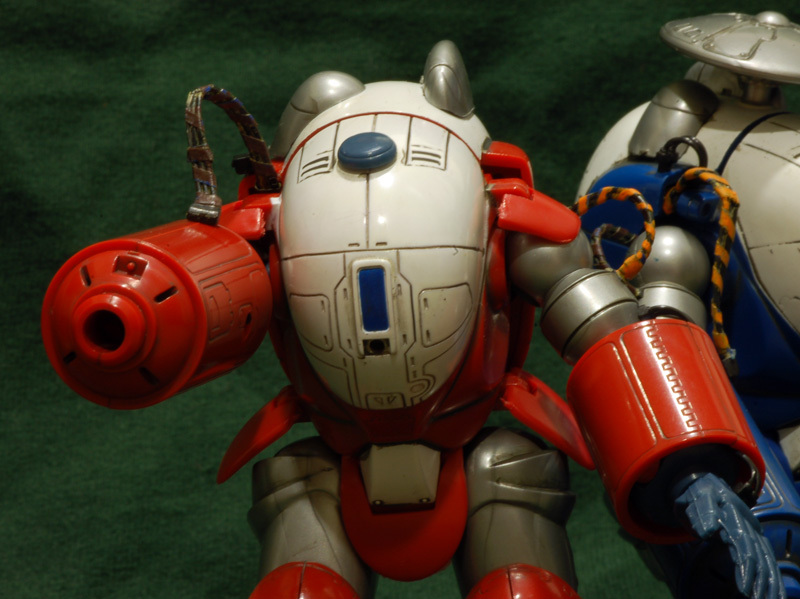 It featured two main sets of mecha, a trio of transformable machines and endless soldiers donning doofy MaK-esque power armor. 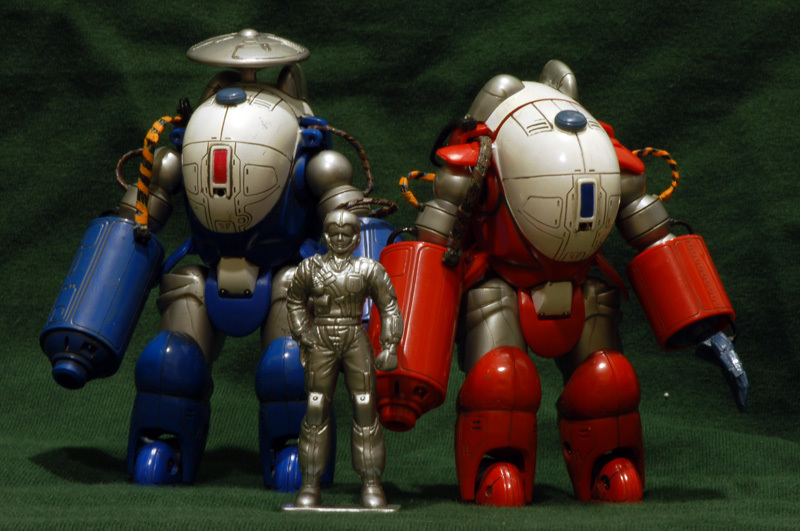 Takatoku handled the toy side of things, with many sizes of transformable mechs and a single deluxe Nove power suit figure that came in two colors with three weapon configurations. The blue Nove is the command variant and included an optional antenna dish. 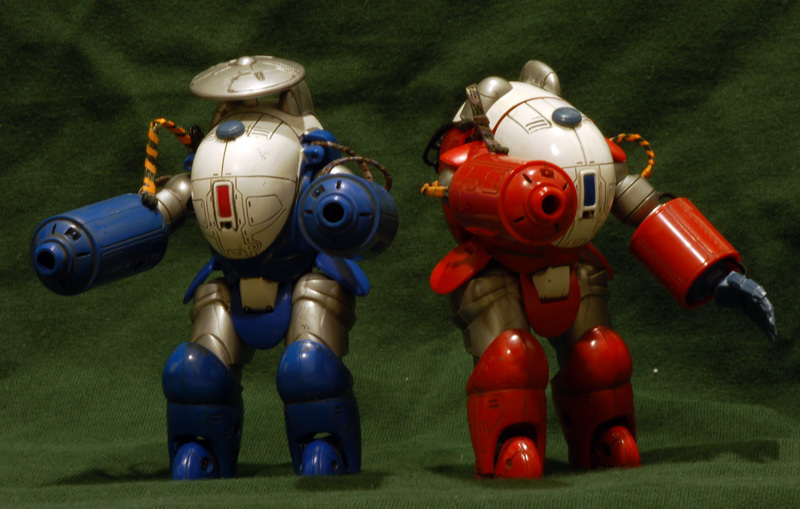 The red one seems to be the ‘grunt’ variant. Each Nove comes with parts for regular manipulator hands, laser canons, and a heavy canon that neither of my examples have. 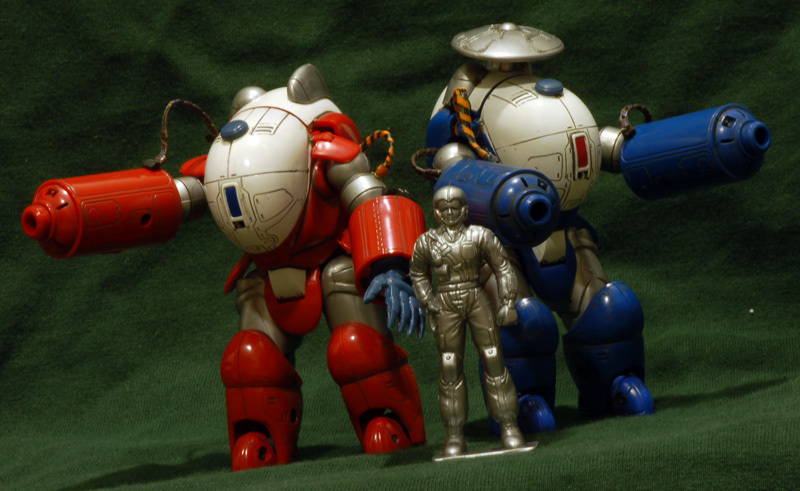 The toys are classic 80’s real robot. They are well articulated, richly detailed, and include way too many parts. The feet are diecast for balance. The torso separates to reveal a cockpit with padding and a console, but no figure for the cockpit. 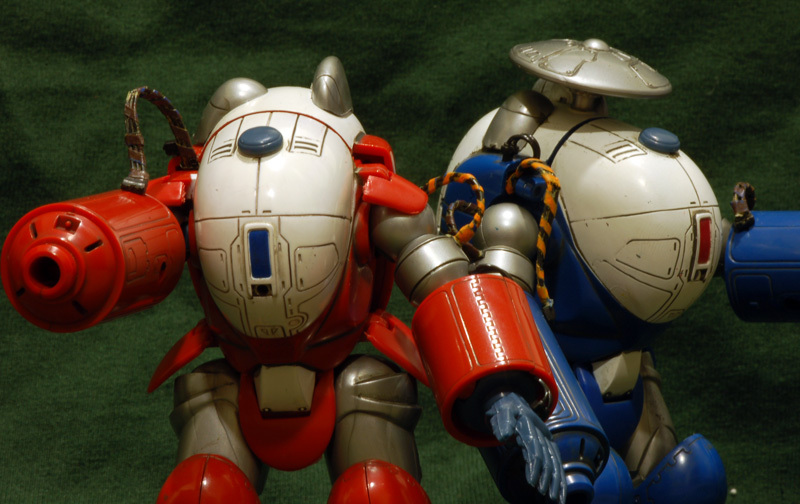 They also feature a bunch of fragile soft PVC wire parts that fit all over the upper half of the suits and really sell the ‘Real Robot’-era effect. Unfortunately, the soft plastic wires tend to break over the years. They are too fiddly to try and glue, so I decided to do a little experiment. All of the wire parts have more than one cable, which is part of why they are so fragile. I figured, if these were real machines, a mechanic would probably tape up the cable bundles to help prevent them from catching on things. A few minutes with some thin tape, and I was able to replicate some in-scale electrical tape on the bundles, strategically covering any broken spots. For now the only other thing I did was panel line them. I have an unused sticker sheet that I plan on scanning and printing waterslide decals of. Once they are decaled, I will add a little more detail and weathering. They’re super fun to boot!